With the EPIC Solution’s GPS Sign Inventory system you will be able to do an asset inventory and keep your information current with inspections, repairs, replacements, and tasks related to sign inventory. We offer two components: E-Sign Web, a web based inventory management and E-Sign Mobile, a mobile asset cataloging system. Enter the data while in the field from your PDA/Laptop or from your office with Web Access. Modified field information is automatically updated in your inventory system at the office. Having an up to date sign inventory system is important! Why have EPIC Solutions do your data collection? • ACCURACY – Our systems assure accurate initial information that is crucial to eliminate any potential future problems. • EFFICIENCY – Timely completion is needed in order to meet the new retro reflectivity requirements of the MUTCD. • SAVINGS – Our crews are trained and experienced. Keeps your staff on current work duties and schedules. Why train for a one-time event? EPIC Solutions has developed a unique web based inventory management system, E-Sign Web, capable of keeping track of all your assets from one easy location. Once data has been collected, simply upload the files onto the E-Sign Web server where tasks and attributes can be managed with just the click of a button. A complete work history and individual picture is also assigned to each asset. E-Sign Web allows user to keep inventory current with inspections, repairs, and replacements. 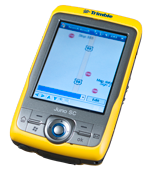 Enter the data while in the field from your PDA/Laptop or from your office with Web Access. Modified field information is automatically updated in your inventory system at the office. 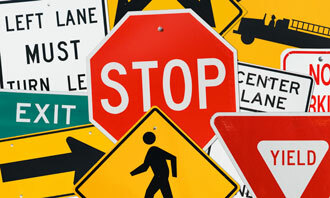 E-Sign Web can help you be compliant and stay compliant with retro reflectivity standards of the MUTCD. Having a complete database is important in reducing liability exposure. E-Sign Web provides you the tools necessary to reduce your liability risk. With E-Sign Web you can populate your inventory on standard maps or you can use your own base maps to view your inventory. No IT involvement is needed. You don’t have to be a GIS specialist to run this program. E-Sign Mobile by EPIC Solutions is a state of the art program designed to help field workers accurately and efficiently catalog assets on the job. While out in the field you are able to pinpoint exact GPS locations for all your assets and automatically load them onto a web based server. A point is created for all your assets that include attributes, tasks, a complete work history, and a picture associated with each item. E-Sign Mobile allows user to search for signs based on geographical area, or by unique ID. Versatile, simple to use software is extremely user friendly, and comes with complete step-by-step instructions. E-Sign Mobile can help you be compliant and stay compliant with retro reflectivity standards of the MUTCD. Having a complete database is important in reducing liability exposure. E-Sign Mobile provides you the tools necessary to reduce your liability risk. Work either online or offline, the E-Sign Mobile can be used anywhere you need to be!